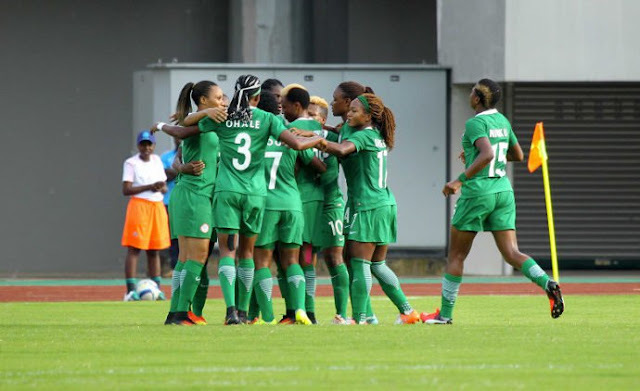 The Senior Women National Team, Super Falcons, will on Thursday test strength against Dominion Hotspur FC, a boys’ team based in Lagos, in its first friendly match ahead of next month’s 11th Women Africa Cup of Nations. Head Coach Thomas Dennerby sanctioned the friendly, as the eighth –time African champions began the second phase of camping on Monday at the magnificent Jubilee Chalets and Resort, Epe in Lagos. Already, Dennerby has been able to welcome a couple of the 19 overseas –based professionals invited to the camp, which gradually moves into intensive stage during the week with a final list expected before the team jets out of the country. Meanwhile, Chairman of the NFF Women Football Committee and a ranking Member of the House of Representatives, Hon. Hulayat Ayo Omidiran visited the team camp on Monday and charged the girls to prepare well and hard for the challenge of defending their continental crown. The Falcons are drawn to play South Africa, Kenya and Zambia in Group B of the 11th Women Africa Cup of Nations, with Cape Coast as a venue, starting with an opening encounter against the Banyana Banyana on Sunday, 18th November. Nigeria emerged champions of the biennial continental houseparty in 1998, 2000, 2002, 2004, 2006, 2010, 2014 and 2016, defeating hosts Cameroon 1-0 in the final of the last edition in December 2016.